DIGESTIVE PROBLEMS ARE THE PITS! We all need food to live, but millions of Americans like you have gastrointestinal problems. The result is digestive mayhem that controls our lives and makes us miserable! Sadly, the older we get, the more we suffer from poor digestion. Last year alone, Nexium, the little purple heartburn pill earned $6.3 billion and was the No. 2 best-selling prescription drug in the U.S. Prilosec, Nexium's over-the-counter 'kissing cousin,' collected $billions more. When I read Dr. Dougherty’s profile, I was intrigued that she was a Loomis Digestive Health Specialist AND held a Masters in Acupuncture. 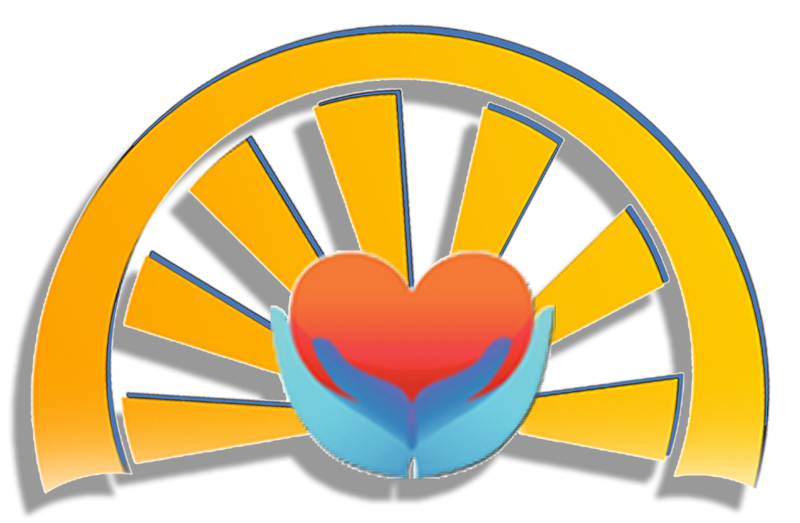 I had numerous frustrating encounters with medical doctors and I really needed some help so I set an appointment at HeartLight Wellness of Santa Fe. After two visits with Dr. Dougherty, I made a huge recovery, and I am now symptom-free. If you are suffering from acid reflux, heartburn, abdominal pain, constipation, Crohn's Disease, diarrhea, diverticulitis, irritable bowel syndrome, ulcerative colitis, and a multitude of other gastrointestinal problems and failed to find relief with traditional medical treatments, HeartLight Wellness's Loomis Digestive Enzyme therapy may be the answer you have been seeking. Dr. Irene Dougherty, Doctor of Oriental Medicine, is the only healthcare professional in Santa Fe and Northern New Mexico offering the proven Loomis Digestive Health therapy. She is a distinguished graduate (2004) of the Loomis Food Enzyme Institute and is a certified Loomis Digestive Health Specialist (LDHS). Protein, carbohydrates, fats, vitamins, and minerals are simply your body's raw materials, and they need enzymes to assimilate into the body. Enzymes play an essential role in physiological processes throughout the body. Natural digestive enzymes, such as lipase, amylase, and protease, aid in breaking down fats, proteins, and carbohydrates. Additionally, enzyme supplements can be taken to help improve digestion. But if you take these supplements at the wrong time, they may be completely ineffective. Let’s take a closer look at when taking those enzymes will maximize their effectiveness. Enzymes, which are made up of amino acids, catalyze biological functions. As you probably learned in high school chemistry, catalysts are used to speed up a chemical reaction or allow it to occur at a lower temperature than it would normally. In the same way, digestive enzymes enable the body to perform biological functions that otherwise would not occur at physiological temperatures. Some people incorrectly put enzyme supplements in the same category as vitamins, thinking that if they just take one in the morning, it will do its job throughout the day. But a digestive enzyme needs a substrate in order to catalyze a reaction – in other words, food. Just like your friend who shows up on moving day after the apartment has been emptied, taking an enzyme supplement when there’s nothing in your digestive system to metabolize is simply a waste of a valuable resource. It’s crucial to take enzymes as directed. That means, in most cases, you should take digestive enzyme supplements along with food. In many instances, they should be taken in combination with specific foods in order to properly perform their intended function. Lactase supplements, for example, include the enzymes that digest milk sugars, so they should be taken along with dairy products. Likewise, amylase supplements help the body digest the complex sugars found in legumes and vegetables to reduce bloating and gas, so they should be taken just before eating these foods. To determine when to take a digestive enzyme, or any supplement, refer to the instruction label of the product. Some digestive supplements are intended to be taken with a meal, while others should be taken shortly before eating. Also, check the proper dosage, which will vary based on the type and strength of the enzyme supplement. If you are unsure or have any questions, ask your pharmacist or nutritionist. And of course, if you are taking any medications, be sure to consult your doctor before using any supplement. Dr. Dougherty diagnoses each patient's specific needs and prescribes the best sources of nutrients that act synergistically to ensure that food is properly digested and assimilated. Generally, enzyme replacement therapy is a long-term process required to heal a patient's accumulated inflammation and restoring the gastrointestinal tract with specific enzyme supplements tailored to the patient's specific needs. When you are ready to take control of your health and join the hundreds of patients who have been liberated from chronic digestive problems call HeartLight Wellness for an appointment. HeartLight Wellness is Santa Fe's only practice offering the healing benefits of Loomis Digestive Health therapy, Balance Method Acupuncture for immediate pain relief, Five Element Acupuncture, Therapeutic Relaxation for long-term healing, and NAET Allergy Elimination Techniques. Dr. Irene Dougherty, Doctor of Oriental Medicine (DOM), holds the unique distinction of being one of New Mexico's most experienced Loomis Digestive Health therapy practitioner and the only Balance Method Gold Level Acupuncturist and holds a Master’s Degree in Five-Element Acupuncture from the prestigious Traditional Acupuncture Institute in Laurel, Maryland. Dr. Dougherty has over twenty years' experience, and decades of post-graduate education and academic and professional certificates. We invite you to experience immediate relief of your symptoms and enjoy the life you love to live.